In Chapters 3 and 4 we examined the idea of a market and introduced the concept of market failure. 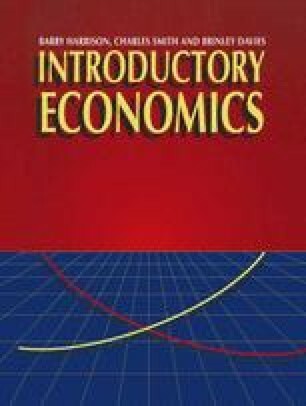 Then, in our discussion of internal and external economies of scale in Chapter 7, we examined the distinction between a firm and an industry and in Chapter 8 we examined the behaviour of costs and revenue as output and sales change. We now begin to study the theory of the firm which will occupy us until Chapter 14, and we shall draw on our knowledge of all the concepts introduced earlier.